Proton therapy is an advanced form of radiation treatment. In the treatment of cancer, radiation therapy works by attacking a cancer cell’s DNA, inhibiting growth and reproduction. While advancements in targeting have made the delivery of photon radiation more exact, it can damage nearby healthy tissue and organs. X-rays deposit their energy on the way to, and then beyond its target, necessitating administration of entry and exit doses. This additional exposure can cause substantial side effects for patients. Figure 1: Traditional radiation treatment has a relatively high entrance dose and exit dose. Proton therapy has a lower entrance dose and no exit dose. Proton therapy, conversely, leaves healthy tissue undisturbed. This distinct advantage comes from the unique behavior of protons as they move through the body. Demonstrated on the Bragg Curve, protons reach a peak near the end of their path. The absorbed dose of radiation increases very gradually with greater depth, rising to its peak when the protons are stopped. Highly-charged protons deliver a treatment dose more directly into targeted tissue and tumors than X-rays. 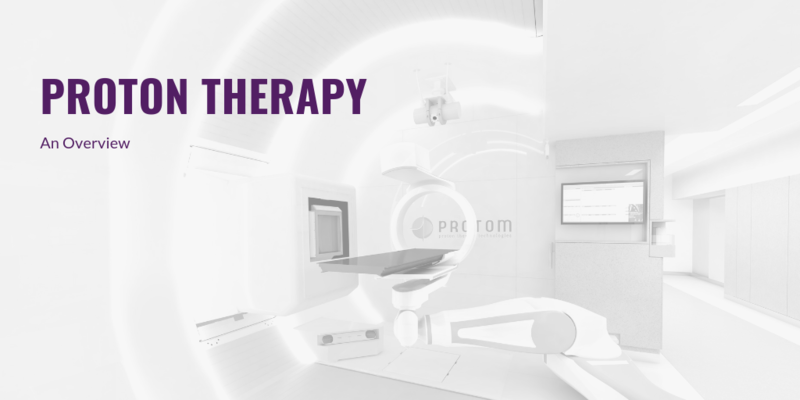 In clinical applications, proton therapy can be administered to a precise depth within a patient’s body, to a site as small as a few millimeters in diameter – leaving healthy cells unaffected. X. Zhang, Y. Li, X. Pan, et. al. Intensity-Modulated Proton Therapy Reduces the Dose to Normal Tissue Compared With Intensity-Modulated Radiation Therapy or Passive Scattering Proton Therapy and Enables Individualized Radical Radiotherapy for Extensive Stage IIIB Non-Small-Cell Lung Cancer: A Virtual Clinical Study. Int J Radiat Oncol Biol Phys. 77(2):357-66 (June 12010). doi:10.1016/j.ijrobp.2009.04.028.